For a good start to the day, our hotel guests enjoy an extensive breakfast in the annexed restaurant from Mondays to Fridays between 7 am and 10 am and likewise on Saturdays, Sundays and holidays between 7 am and 10 am. 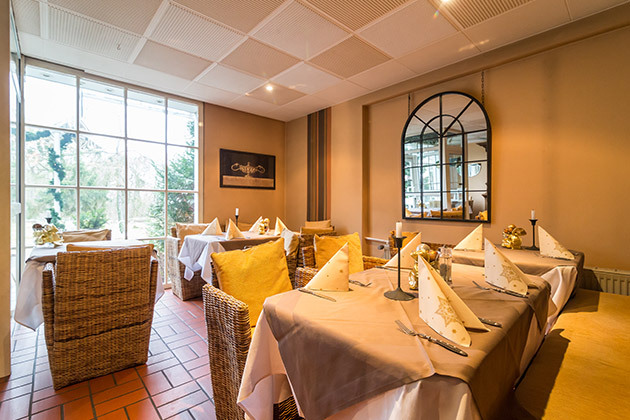 You can put together your favourite breakfast in a very relaxing atmosphere in the Thermen Hotel Bad Soden. The breakfast choices in the Thermen Hotel Taunus range from fresh bread and a number of sausages and cheese varieties to several different flavours of jam. Furthermore, you can also delight in warm dishes and, of course, coffee, tea and other beverages are not absent. Numerous comfortable seats in a tidy ambience ensure genuine comfort. By the way, the breakfast in the Thermen Hotel in the Taunus is already included in the room rate. In case you have any special wishes, do not hesitate to ask our staff members for help. We will do our utmost to take care of all of your needs, regardless of what they are.